If the name of guitarist Mark Tremonti sounds familiar to you, then you know him from his work in Creed, or even from Alter Bridge. All I Was is his debut solo outing, and music lovers can only hope that there will be follow-up albums in the future! 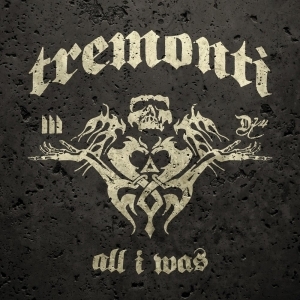 In the info sheet which accompanied the promo copy of the album I was given, Tremonti states that from the beginning days of Creed his bandmates would tone him down about some of the heavy riffs he came up with, pointing out to him that he wasn't playing in Slayer. As the years passed by, the band's music actually became a little heavier, and when Alter Bridge came along, the heaviness was again increased a little more. But although Mark was already able to bring out sóme of that heavier side of his, he felt things could be moved up a notch, all without losing sight of the melodic sensitivities which he'd worked on so hard to achieve. So, when Alter Bridge singer Myles Kennedy was out on the road with Slash during early 2011, Mark settled down in his home studio, and demoed the foundations of the material which would become his solo debut album. He subsequently continued to rehearse with rhythm guitarist Eric Friedman and drummer Garrett Whitlock (whom he knows from having produced their debut album in Submersed), and gradually got more confident in his role as lead singer (as opposed to the backing role he'd had in his bands before). Then came time to start touring with Alter Bridge again, but in between Mark would collaborate with producer (and longtime friend) Michael “Elvis” Baskette (known from, among other, his work with Alter Bridge and Chevelle) on recording. The end result, the 12-tracked All I Was now lays before us...well, actually it's been making turns in my cd- and mp3-player for a couple of months now...and boy, isn't this a GREAT album?! Just to get back to the Slayer reference, Death Metal riffs come through in songs on a regular basis...but then there's also an undercurrent of heavy Groove, packed into songs with a catchiness beyond compare. Of course, Mark's vocal style tones everything down to commercially broader acceptable levels. You see, you won't find him screaming his head off, nor putting in grunts or growls...nah, it's a more melodic style he handles, not quite “clean” vocals either, though! What with the harmonic backings, and the melody already incorporated within the music, the overall effect is one of making the songs an non-erasable part of one's memory after only the second listening session (quite frankly, the unprepared listener is bound to come out of his first session totally stunned...well, perhaps the more experienced music lovers will already have turned to a state of reveling halfway through?). Some details...Fret12 is the online guitar hub which Mark founded in 2008 with his brother Daniel and Tom Stanley. More “in the family” news, is that for touring purposes with Tremonti, Mark has called upon the services of his Creed/ Alter Bridge bandmate Brian Marshall to play the bass. In other words, there's a good chance that you may be able to hear this music in live conditions...at least in the US, for sure. Of course, it would take only two extra tickets for either Creed or Alter Bridge to tag along a great support band on their respective tours, you know! Oh, before I forget, use (www.) tremontiproject.com as a jumping board in search for audio and/or video on this band!